Whether you're looking for the best value, ultimate portability, a powerful workhorse, or tablet-based productivity, we can suggest an answer. You’re probably still enjoying your summer vacation, but that first day of school is creeping up on you. Sooner or later, you’re going to have to start getting ready to go back to school. I know it’s a bummer, but let’s look at the bright side: Back to school is a great opportunity to buy a new Mac. Yay! But wait, how do you decide which Mac to get? Don’t worry. Here are the ideal Macs for students, with reasons why you’d want each model. Pick the one that fits for you, and be on your way. After all, you have only a few days of summer left before class starts. Priced at $899 (128GB flash storage) and $1099 (256GB flash storage), the 11-inch MacBook Air is a capable laptop for everyday use, and it won’t break your bank. It has a 1.6GHz dual-core Core i5 processor that can easily handle writing apps, presentation software, Internet access, email, and a lot more. 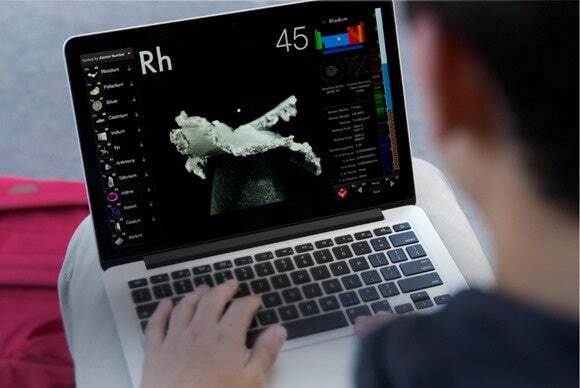 It can even process video and audio projects, though you’ll have to wait a little longer than with a more powerful Mac. The 11-inch MacBook Air has a 9-hour battery life for wireless web use, and a 10-hour life for iTunes video—that should get you through a day of classes. And it weighs less than 2.5 pounds, so it you won’t get worn out carrying it around all day long. If this is among the top of your back-to-school concerns, you should get Apple’s lightest laptop, the MacBook ($1299 and $1599). It weighs a tad over 2 pounds, so you may not even notice it in your bag, especially if your teacher insists on using that 10-pound monolith of a textbook. The MacBook isn’t going to set performance records, but it’s quite capable of handling a variety of tasks. It also has a 12-inch Retina display that produces gorgeous images, and it’s available in gold, space gray, and silver. Read our full review of the MacBook. You’ve got big things planned for school—big things that involve big projects. You’re going to need processing power. You need a 13-inch MacBook Pro with Retina display ($1299, 1499, and $1799). These laptops use dual-core Core i5 processors that are much faster than the ones found in the MacBook Air. They’ll handle your student film projects and song recordings with ease. The 13-inch Retina display looks fantastic and comes in handy when you’re looking for the best photo for your presentation. And the battery will last into the later hours of your day, with juice to spare. Read our full review of the 13-inch Retina MacBook Pro. The first thing you should buy for your new iPad is an external keyboard. You don’t really want to type long papers using the touchscreen keyboard. Fortunately, there are a lot of external iPad keyboards from which to choose, but picking one can be overwhelming. 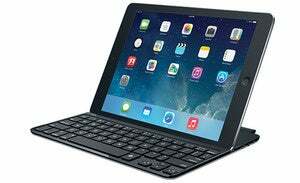 Since you’ll be carrying your iPad around with you, consider a keyboard case; it does double duty as a protective shell and a keyboard. The ClamCase Pro for iPad Air 2 ($150) folds into a laptop-like form and even has an aluminum shell. The Zagg Folio ($100) is thin and has a leather cover. 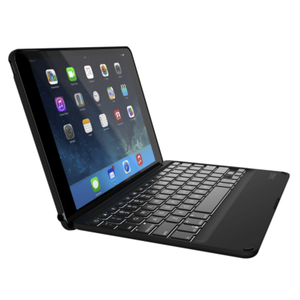 The Logitech Ultrathin Keyboard Cover is a keyboard shell that covers the iPad screen when you’re not using the keyboard. 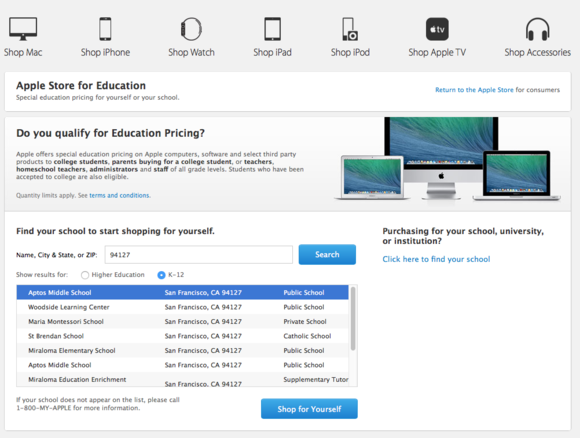 Save a bit of money by shopping at the online Apple Store for Education. The discounts aren’t huge—you save $50 on the MacBook Air and MacBook. Apple doesn’t offer any discounts on the MacBook Pro, unfortunately. 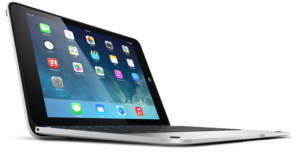 You save $20 on the iPad Air. You might find more attractive prices at Apple’s Certified Refurbished store. For example, at the time of this writing, the entry-level Early 2015 11-inch MacBook Air, priced at $899 new, was available for $759. The entry-level Early 2015 13-inch MacBook Pro was for sale for $1099, which is $100 cheaper than a brand new version of the same computer. Stock for refurbished computers is limited, though, so it’s worth revisiting the store. 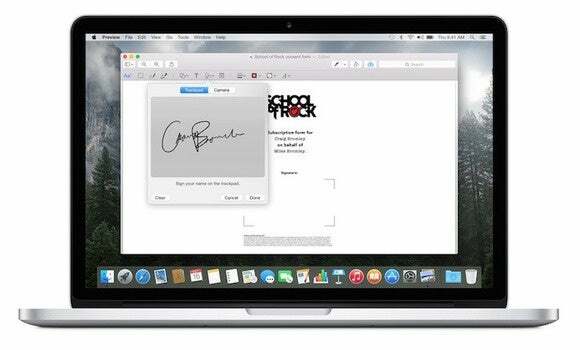 Or you can buy an older refurbished Mac and save more money.